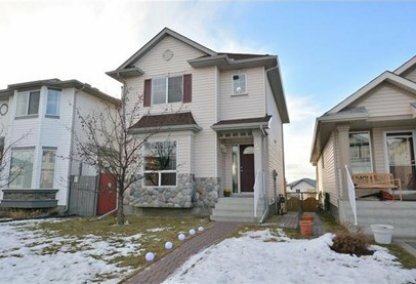 Browse today's newest Arbour Lake homes for sale in Calgary! At the heart of Arbour Lake real estate sits a stunning 10-acre lake, surrounded by a beautiful array of unique homes, from condominiums to luxury living. It is a distinct way of life in North West Calgary. Discover the hottest Arbour Lake real estate for sale now! Schedule a guided home or condo tour with your Arbour Lake Calgary real estate agents today. Arbour Lake housing market statistics: As of April 24, 2019 there are currently 41 properties for sale in Arbour Lake listed as active, with an average asking price of $432,883. The highest-priced property is $874,500; the lowest priced property can be purchased for $195,000. Arbour Lake neighbourhood listings have an average price of $290 per square foot, based on listings with 3.1 bedrooms, 2.7 baths, and 1,489 square feet of living space. Selling or buying a home in Arbour Lake soon? Call Justin Havre at RE/MAX First - 403.217.0003. Our community of Arbour Lake real estate agents will help you navigate the Arbour Lake housing market near Calgary. 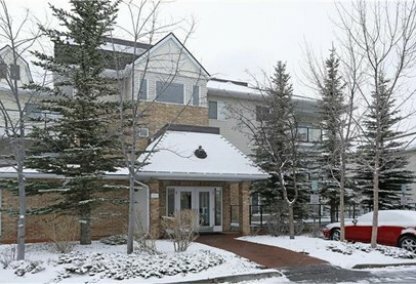 A spectacular lakeside community in Calgary, Arbour Lake includes many home options - waterfront condos, single-family houses, 55+ communities, and executive apartments starting at 300K with price points available up to 1 million. Most of the stunning homes are priced between 400K and 600K. Arbour Lake has been growing in beauty since the neighbourhood was established in 1992. The boundaries include Country Hills Boulevard (North); Crowchild Trail (South); Nose Hill Drive (East); and Stoney Trail (West). The Arbour Lake Residence Association prides itself on representing a tight-knit community with a strong social involvement and civic pride. Home buyers can enjoy the spacious bike trails and walking paths within the neighbourhood's parks. A grant from the Alberta Sport, Recreation, Park & Wildlife Foundation funds the Kids Club, a unique community program offered each summer for children 7-12. The exquisite 10-acre lake within the Arbour Lake neighbourhood provides a place for residents to skate, swim, and enjoy the Calgary mountain views all year round. A full-time Activities Coordinator is employed by the Arbour Lake Residents Association to coordinate many different community activities, including watersports and tennis lessons. Home owners can access connections to both downtown Calgary and the Rocky Mountains. Downtown is only twenty minutes away. The Crowfoot Crossing shopping mall provides many stores and restaurants for all purchasing needs, including Safeway and a movie multiplex. The Arbour Lake community looks ahead to continued development to the north and west, with a proposed total of 11,000 residents in 4,000 homes. Schools in Arbour Lake include Arbour Lake Middle School and St. Ambrose. Thinking of buying or selling a home in Arbour Lake? Let our local real estate agents help guide you through the purchase of your next property, or to professionally negotiate the sale of your current home. As local Arbour Lake real estate agents, we're experts on the market dynamics unique to the Arbour Lake real estate. We'll get to work today! Contact Justin Havre at RE/MAX First - 403.217.0003 to learn more about buyer or seller representation. Planning to sell your Arbour Lake home? Check out our home evaluation tool, where you can instantly view Calgary Homes Values online!